Einzeln WELTKLASSE, zusammen unschlagbar und nicht von dieser Welt. Dies ist schlichtweg ein Musikinstrument....nichts Anderes. Die TU812 MX reagiert sehr sensibel auf die "falschen" Auflagen, hier gilt testen und zuhören! Die neue TU800M Auflage wurde speziell auf die Charakteristik der TU812 hin entwickelt! 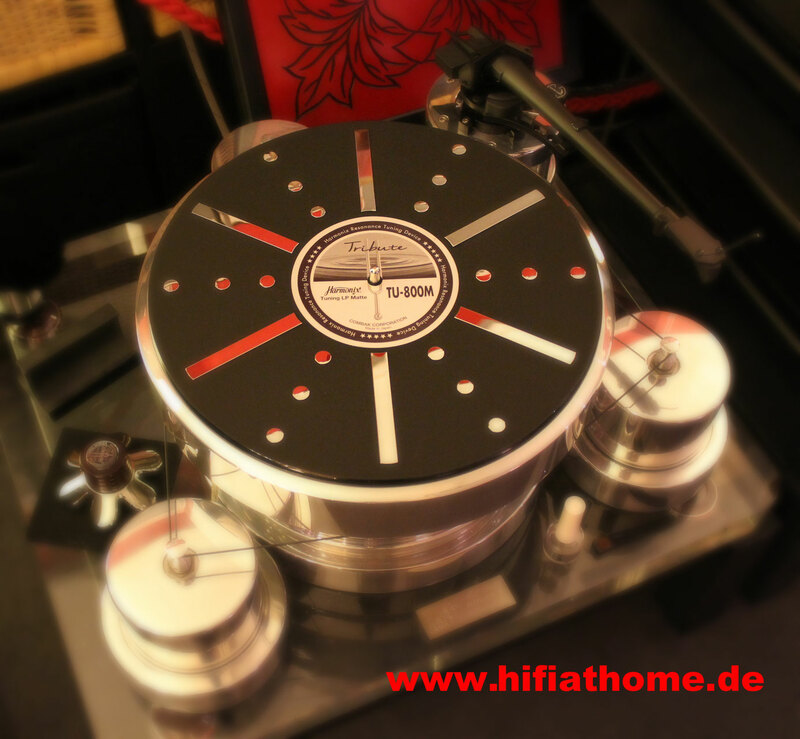 Even turntables produced today are more sophisticated, more reliable, high fashion and simpler to use, and better and more expensive cartridges are marketed than those of yesterday, dedicated analog record fans continue to seek the ultimate sound reproduction from analog records. These turntables and cartridges so sophisticated, however, must still overcome the main obstacle to producing maximum performance and sound from the analog records: the interference of resonances induced by analog record its self and turntable mechanisms employed in the tracking of the complex groves inscribed on the record surface. Because better cartridges used in a record playing system will more faithfully reproduce source sound. These undesirable distortions produced by analog record resonances will annoyingly be heard. Conventional record clamp attempt to address this problem by simply pressing the LP down against the turntable in an effort to quiet such non-musical vibrations. While effective in some frequency ranges particularly the low frequency in fact most of clamps merely trade one set of resonances for another. New HARMONIX TU-812MX “Million” Maestro　(Record tuning clamp) . In its time-honored tradition, COMBAK has developed the TU-812MX to deal amazingly effective with all resonances of analog records and turntable by tuning the record its self and record platter assembly at a frequency outside the audio band. The results are astonishing fantastic– musical clarity is greatly increased, and the separation of musical instruments releases unprecedented depth of sound. An infinitely improved sense of reality and palpability make for the kind of sound you have never ever experienced before with analog record sources. New TU-812MX record clamp lends solidity to much expanded soundstage, making it not only an extremely worthwhile contribution of the potential of analog record, but a necessity, to the art of faithful and exquisite analog music reproduction. Try new TU-812MX. You will be completely astounded! 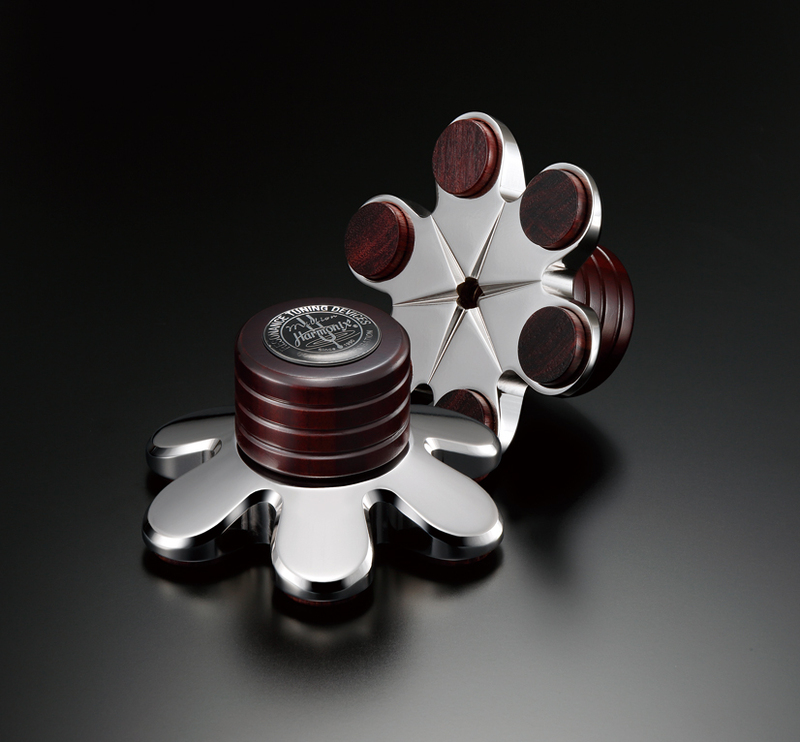 •Color : Shiny chrome metal base w/wooden grip. Any absorbing materials such as rubber, Vinyl and skin made matte , should not be placed under the TU-812MX. Any absorbing objects will take away the delicate music nuances of the sound. BEIDE AUFLAGEN ab Lager lieferbar! Hier ist sie nun die langerwartete Nachfolger Plattentellerauflage der TU 800exi. Auch ohne MILLION Klemme TU812MX einzusetzen, auch da ein absoluter Best Buy! 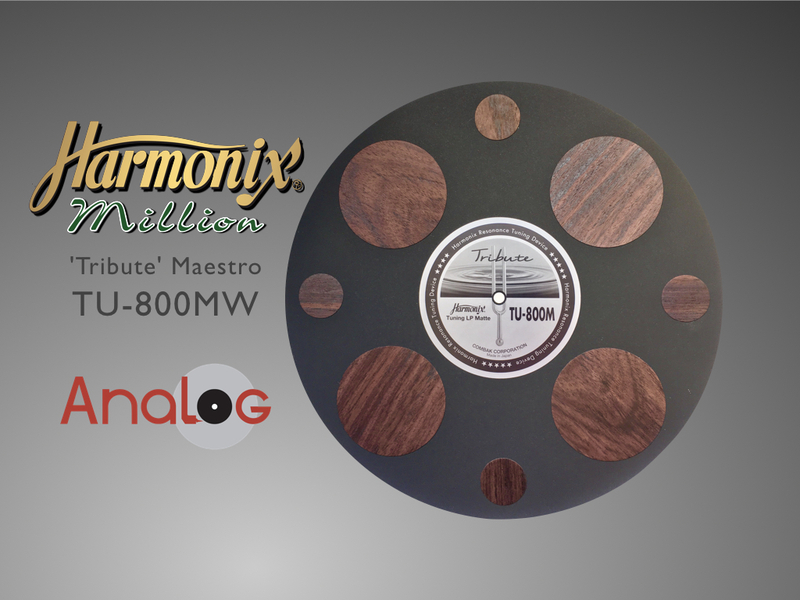 TU-800M "Tribute" Maestro is a Tuning Record Matte designed and hand-crafted piece by piece by Harmonix tuning maestro in use of his best tuning technology and selected materials. It’s only Tuning Matte can satisfy discerning record music lovers such as you who seriously matters the quality sound reproduction from Analog records you collect. TU-800M "Tribute" Maestro maximize immense potential incised on a record and grant you the dream of analog record music in a full sound scale. It is the world only Tuning Matte removing the distortion caused by turntable mechanism - and by cartridge during trucking over record grove. The effect is miraculously impressive, the sound that one have never ever yet experienced. The reproduction sound is natural, smooth and crystal clear with rich details, the sound stage extend in full scale like a live performance and, furthermore, it bring to listeners full of feeling relieved in mind and body lingering that you can hardly stop. 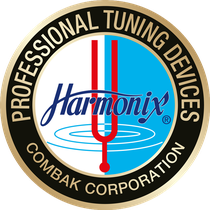 Recommend use in couple with our HARMONIX TU-812MX Million Maestro record clamp for even better playback sound reproduction. Aufgrund der Dicke bitte behutsam verwenden, auf keinen Fall mit anderen Matten kombinieren! Ganz neu, jetzt gibt es auch für jeden Plattenteller eine TU800M(W) !!!! Hintergrund: bei verschiedenen Plattentellermaterialien war man mit dem Gesamtergebnis nicht so 100% zufrieden und hat für diese Anwendungsbereiche eine echte Alternative geschaffen. Ob nun Acryl, Kupfer, Alu oder Glas, für jeden Teller finden Sie die Auflage die klanglich Ihre Anforderungen erfüllt. Etwas leichter als die Matte mit den Edelstahlteilchen aber auch hier nur 1mm Dicke!